Bovis Homes has welcomed 24 new apprentices to work on its sites across the country, helping to meet the increasing demand for more skilled labour in the construction industry. 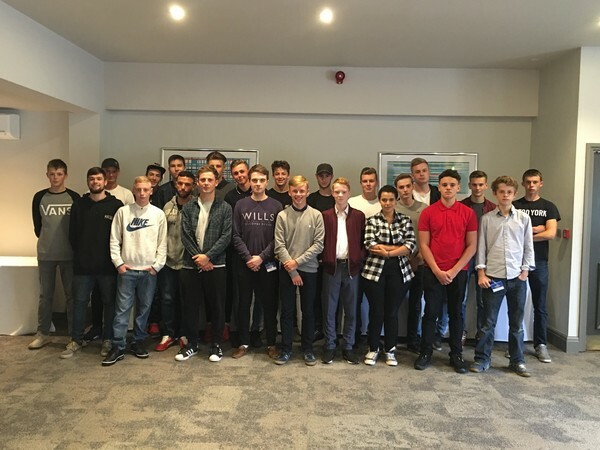 The new recruits, who were selected from over 60 applicants, have started apprenticeships in carpentry, bricklaying and plumbing, and will be learning practical skills out on site, as well as attending college to further develop their knowledge. Based at a site for three to four years, the apprentices, aged between 16 and 22 years old, will learn all about the construction industry and see how a building site develops into a brand new part of a community. They will be situated across the country in locations including Bristol, Nottingham, Reading and Cheltenham. Lewis Mayes, 16, is undertaking a three-year carpentry apprenticeship and will be working at the Sherford development near Plymouth. He says: "I enjoy practical work and making things out of wood, so I am keen to do carpentry as a career. It's going to be great seeing the site grow as the years go by, and after it's finished, I'll always be able to say: 'I did that'." Susan Brown, Group Trainer at Bovis Homes, says: "Apprenticeships are a fantastic way to gain practical work experience and achieve a nationally recognised qualification, as well as earn a real wage." In recent years Bovis Homes has taken on more than100 apprentices, both in trade and office-based jobs. Having started in the South West, they have gradually developed the scheme and now take on recruits for sites from across the country. Susan continues: "We're really proud to be able to provide the support and training required to help our apprentices' progress through the company, and it's great to see so many ex-apprentices still working here and rising up the ranks!" Adam Elvin is one of these successes. After completing his apprenticeship just three years ago, Adam was promoted to site manager at Bovis Homes' Phillips Lea location in Kemble. This year, he was recognised as one of the best site managers in the country after receiving one of the construction industry's most prestigious accolades in the National House Building Council's Pride in the Job awards. "It's not an easy award to get so I wasn't really expecting it. I was over the moon when I found out" says Adam. "I hope to get a few more years' experience as a site manager and then I'd like to move up the career ladder. My next goal is to get the Seal of Excellence Award."